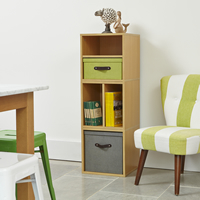 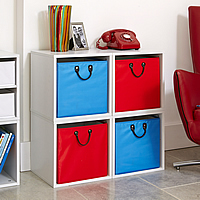 Our set of four wooden modular storage cubes for the living room are available in either a white or oak finish and come with 2 removable red baskets to help eliminate living room clutter. 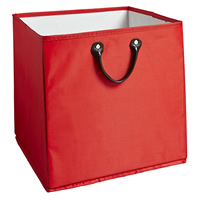 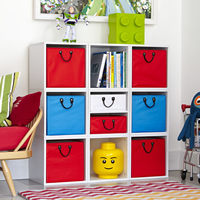 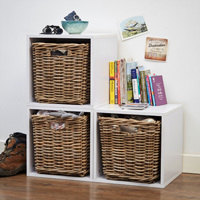 The open cubes are ideal for storing family photos, ornaments etc and the baskets are great for hiding-away bits and bobs that you don't want on display. 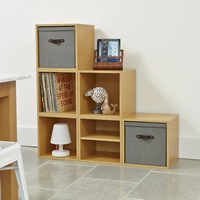 Our cubes can either be placed side by side or on top of one another depending on your preferred layout and need to be secured to each other using the fixings provided. 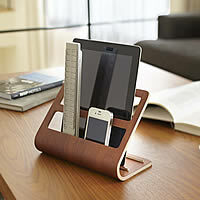 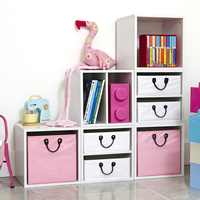 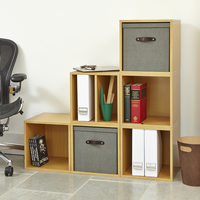 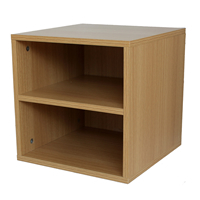 The cubes come with a removable shelf which can be used if needed or removed completely if not. 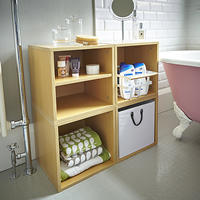 Each basket has a riveted handle and is made from a wipeable nylon which has been reinforced to stop bulging and breaking making them great for bathroom storage. 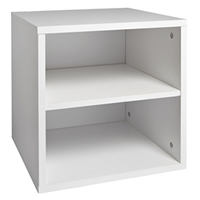 Please note that the dimensions are for the configuration shown above.